Do you want to cook high quality food? Do you want to be more adventurous in the kitchen? Do you want to be a top class chef? If yes then you should join cookery schools in Durham. 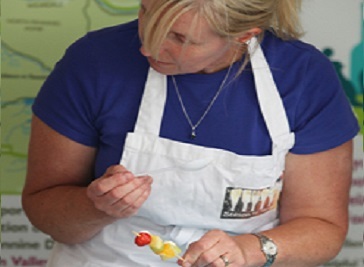 Cookery Schools at Durham offers cooking classes, demos, tastings & fun food workshops to the students. With high standard of teaching you could be able to learn very quickly to cook very good food and invite your loved ones to spend some memorable moments. 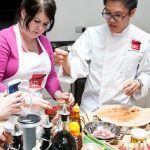 Cooking classes will help you learn the basic skills and techniques of cookery. Courses are offered for all ages, abilities and they are also suitable for starters. The cookery schools provide students with lessons, practical demonstrations and step wise cooking practices to learn and cook delicious and tasty food. These classes enhance the cooking skills of beginners and help them become a very good chef. The classes are organized and arranged in very friendly environment. 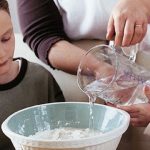 Cookery schools are helping people to enhance the art of cooking by providing them with training sessions, practical sessions and food cooking in small groups to ensure the high standards of teaching. Cooking great food at home is very important because not only the personally selected high quality food contents makes the food healthier but also you can control the amount of salt, sugar and fat according to your needs. Ovengloves Cookery School is offering cooking classes & fun food workshops which promote the use of excellent local food in County Durham. Ovengloves provides from short courses to practical masterclasses designed to suit you, whether you are new or an experienced cook. Come and build a wide knowledge of good food and nutrition. If you want more adventure and taste in your kitchen, Season to Taste cookery school will show you how to do it. It's a fun with food and a great learning opportunity for the lovers of good food and nutrition. Wide range of courses provide you the best opportunity to know how the world is eating and cooking the food.